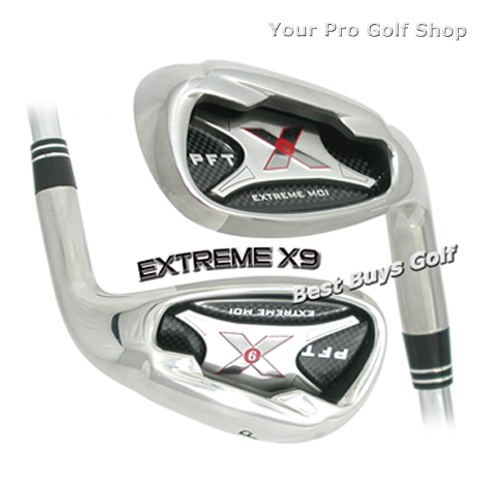 The Extreme MOI X9, irons feature a deep cut cavity to move the center of gravity low and farther behind the face to optimize the clubhead's perimeter weighting producing a very forgiving and playable golf club. This large oversized club head has an inverted cone designed cavity that both enhances forgiveness and insures maximum distance for accurate iron play. Progressive offset for longer, straighter shots. This is a great golf club head for mid to low handicap golfers looking for an oversize golf club with enhanced workability and forgiveness.